The Miniature Schnauzer is a small German breed. They are well known for their wiry coats and thick whiskers. This breed is friendly, energetic, and intelligent. Plus they can suit lots of different homes! Welcome to your complete guide to the cute Miniature Schnauzer! 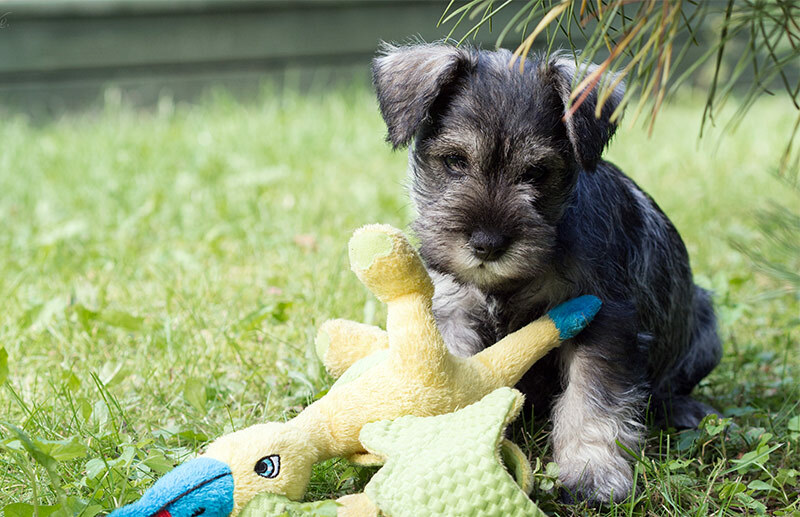 Here are our readers’ most popular and frequently asked questions about the Miniature Schnauzer. Are Miniature Schnauzers good family dogs? Are Miniature Schnauzers easy to train? Do Miniature Schnauzers bark a lot? These little dogs are charming and sweet, we can see why you want one! But is this breed right for you and your family? With their bushy beards and eyebrows, along with their soulful eyes. A Miniature Schnauzer could be a great addition to your home. Want to know more? You’ve come to the right place. Read on for all you need to know about this lovely breed. Starting with their history! Miniature Schnauzers come from Germany. They are an old breed that are recognized in pictures from the 15th century. There, Standard Schnauzers were bred with smaller dogs, such as the miniature poodle and the Affenpinscher. The aim was to create a farm dog that could hunt rats. The first recorded Miniature Schnauzer appeared in 1888. But it was shown as a distinct breed from 1899. The breed was recognized by the American Kennel Club in 1926. Their name comes from a unique part of themselves – can you guess which? “Schnauze” in German means muzzle, or snout. Their name refers to the bushy face and whiskers that this breed is so well known for! They have a long foreface and a strong muzzle, with thick whiskers. Their bodies are short and squat. They have small, dark, deep-set brown eyes. The Miniature Schnauzer has a double coat. They have a hard, wiry outer layer and a softer undercoat. These dogs can be black, salt and pepper, or black and silver in color. White Miniature Schnauzers exist too. But they are not recognized by some breed associations. These super-cute pups are friendly, smart, alert, and active. They have spirit! These lively pups have a medium amount of energy. But can be happy living in many areas. They are also eager to please, which makes them obedient. Although these little cuties can also be stubborn. Miniature Schnauzers are curious and use their intelligence to get into trouble! Because they were bred as ratters, they are spunky and fast. They have big personalities! As terriers, they dig, chase, and think they’re bigger than they are. Miniature Schnauzers are vocal. They like to bark. But this means they make good watchdogs. Training is a good idea for Miniature Schnauzers. They need to exercise their minds. However, their independent nature means that you may have to be patient and firm. They do not react well to punishment. These dogs are food-motivated. 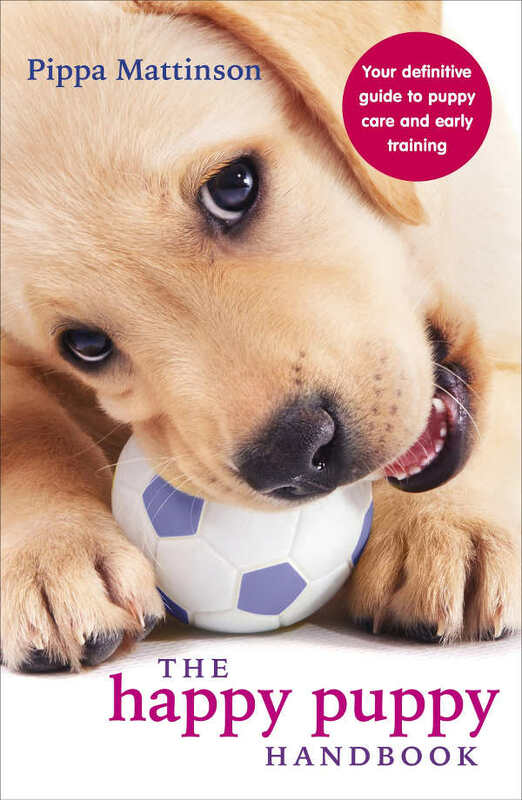 Keep training sessions short, as Miniature Schnauzers can be bored by repetition. Once your dog starts to obey you, try to curb any barking. You won’t be able to stop it completely, but you may be able to reduce it. Lively Miniature Schnauzers may enjoy the challenge of agility training, too. Miniature Schnauzers are smaller dogs. But this doesn’t mean they don’t need exercise. Exercise is important to maintain both mental and physical health. 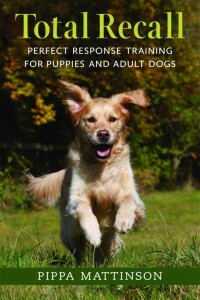 Especially in these clever, active dogs! As long as they get daily exercise, they can adapt to country or city life! But their strong chase instinct means they should be kept in a fenced area when playing outside off a leash. 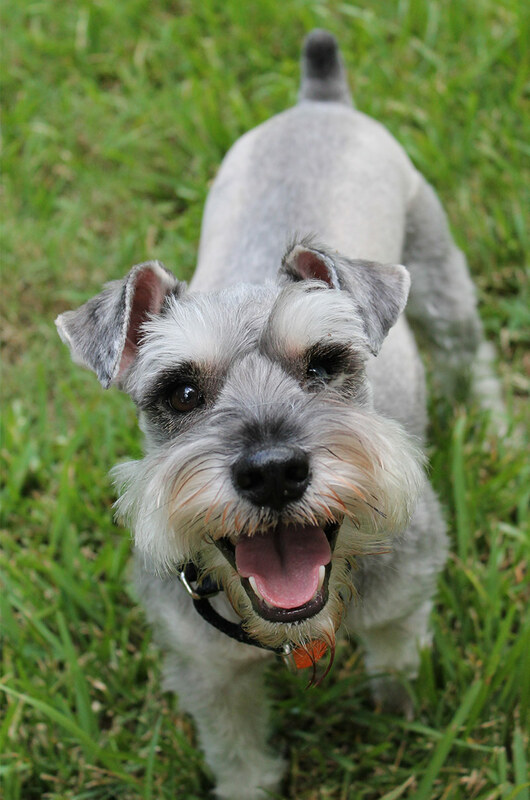 Unfortunately, Miniature Schnauzers may suffer from a number of health issues. These cute pups are more genetically likely to develop disorders like the ones below. Schnauzers are prone to allergies. These often show up on the skin, as itchiness from contact dermatitis. They may also cause digestive issues. The culprit can be food, shampoo, or something in the environment. Allergies can be easily treated, and may begin when your dog is 1-3 years of age. The bumps are often found along the spine, and may have pus in them. They are thought to be a result of blocked sebaceous glands (sebaceous glands secrete oil to lubricate skin and hair). These bumps are not harmful or contagious unless they get infected. If that happens, go to your vet for antibiotics. Schnauzer bumps are inherited. Flare-ups may happen through your dog’s life. Exposure to sunlight helps limit outbreaks. And certain antimicrobial shampoos or a dose of allergy medication may help. Feeding a high quality natural dog food or supplement also reduces the incidence of these bumps. Schnauzers are also prone to seborrhea – dry, flaky skin or alternatively, oily, greasy skin. Ask your vet for solutions! Miniature Schnauzers are known to be genetically prone to a progressive retinal atrophy. This basically results in a loss of vision. Symptoms include a lack of curiosity, caution moving around, an increased desire to lower the head and sniff, and walking into things. This disease may rapidly degenerate as animals get older. This is generally associated with diseases such as diabetes, hyperadrenocorticism (Cushing’s Disease), hypothyroidism, and obesity. Hyperlipidemia is more prevalent in Miniature Schnauzers than other breeds of dogs. Pancreatitis, or inflammation of the pancreas that may lead to organ failure, is also a disease of this type. Basically, Schnauzers are prone to retaining too many triglyceride lipid fats in their blood. Symptoms can include hair loss, scratching, urinating and drinking more than normal, inflammation in the eyes, lethargy, diarrhea and vomiting, reduced appetite, and fatty deposits in skin or blood vessels. Diet and monitoring are the best ways to avoid diseases caused by hyperlipidemia. Ask a vet to help create a diet that includes high fiber and low fat, and monitor tryglyceride levels regularly. Do not feed table scraps. Exercise your dog, and maintain her at a healthy weight. If you see any signs of gastrointestinal problems, get your Miniature Schnauzer to a vet immediately. Mini schnauzers are susceptible to some rare blood diseases. Such as hemolytic anemia and thrombocytopenia, which happen when the immune system starts attacking the dog’s own cells. This causes anemia, weakness, lethargy, and gum issues, along with abnormal bleeding and clotting. Von Willebrand’s disease, a clotting disorder, may occur. 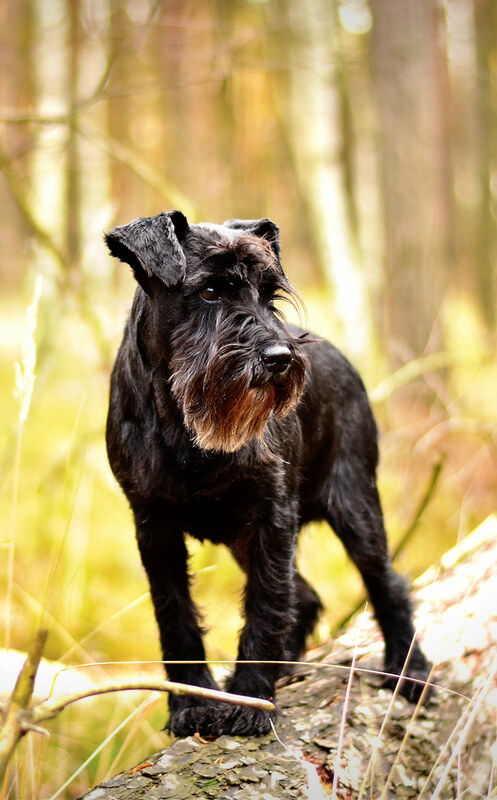 Hemophilia A, caused by a missing clotting protein, is another disease that has been associated with Miniature Schnauzers. Such diseases may require immune-suppressing drugs or blood transfusions. Mini schnauzers, even young ones, show a genetic predilection to renal failure in the kidneys. This often results in wasting away. Signs include vomiting, diluted urine, excessive thirst, increased nitrogen levels, and a decrease in red blood cell production. 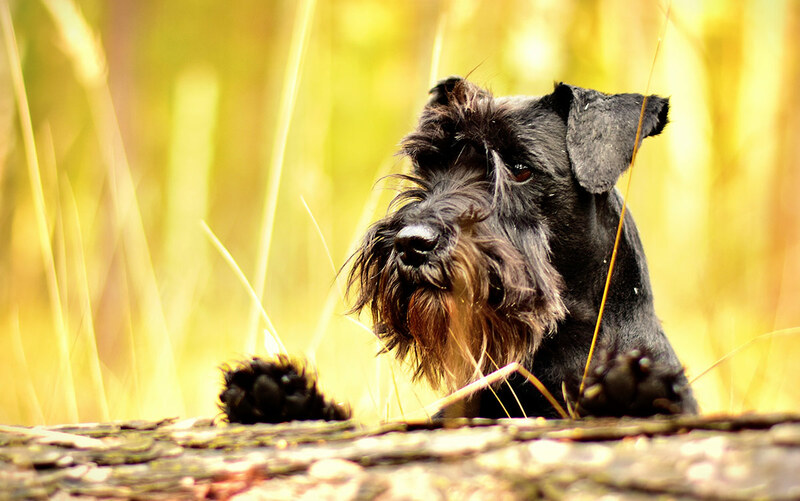 Mini schnauzers also may get liver disorders, such as portosystemic shunt, in which blood is diverted from the liver so that it doesn’t function properly. They may suffer from hemorrhagic gastroenteritis, which must be treated quickly to stop diarrhea, vomiting, and dehydration. These dogs may also have a higher incidence of kidney stones and bladder stones than other breeds. Plus, Miniature Schnauzers may suffer from myotonia congenita. Here skeletal muscles used for movement are prevented from relaxing. Heart failure is one of the main causes of death among old Miniature Schnauzers. This may be caused by weakened heart valves (heart murmurs), malfunctioning sinus nodes, or a non-closing vessel (patent ductus arteriosis). Signs of heart disease include a low heart rate, fluid build-up, coughing, fatigue, weakness, or a particular rushing sound in the heartbeat. A vet can help you make a plan to prevent heart disease. Weight control is needed. In worst cases surgery is warranted. Many of the above conditions listed have seizures as a symptom. However, miniature schnauzers are also prone to epilepsy. If your dog is having seizures, clear furniture that might harm her and otherwise seizure-proof your home. Talk to a vet; your dog’s doctor may wish to put your schnauzer on medication to manage episodes. We realize this list seems intimidating! But not all Schnauzers will have health issues, and some of these conditions are quite rare. In general, if your Miniature Schnauzer is showing any unusual symptoms, consult a vet right away. Also, your vet may recommend periodic testing for some of the conditions common to Miniature Schnauzers. Your Miniature Schnauzer can, if healthy, live 12-15 years. Your dog’s lifespan depends on her own health and environment, genetic predispositions to illnesses like those listed above, and quality of life. Some dogs will not live as long, because of physical issues. Others may live longer, with good care. There is no such thing as a hypoallergenic dog. But Miniature Schnauzers don’t shed often. Dog allergies are caused by a protein in dog saliva and urine, which adheres to fur. Some breeds don’t release as much fur. So those breeds are often called hypoallergenic. But the protein still exists in the dog’s hair and dander. Allergic people may suffer less when exposed to certain dogs, but there are no guarantees. Miniature Schnauzers need daily grooming because of their double coat. Stripping is done for show-quality dogs. This requires removing loose, dead hairs by hand or with a stripping knife. Clipping, a less time-consuming process, is usually done for house pets. Clipping is done with a shaver to remove the topcoat and reveal the softer hair underneath. Without regular grooming, Schnauzer hair can become easily tangled and matted. Only you can decide if your house needs a Miniature Schnauzer. Based on the info we’ve given you, can you handle one? These dogs are popular, and have great characters. They’re cute, smart and perfect for moderately active families. But, they require daily grooming. Plus, lots of mental stimulation to prevent boredom. Plus there are health issues you may have to contend with down the line. Are you ready for that? If the answer is yes, then a Miniature Schnauzer might be the dog for you. For health reasons, you may want to rescue an adult. Breed-specific rescues for Miniature Schnauzers exist. But sometimes these dogs turn up in normal animal shelters too. If you can help rehome a Schnauzer, that’s great! But there are risks here too. You will have fewer options with age and health of your potential pet, as well as its show qualities if you care about that. If you don’t care, go for it! But be prepared, and be patient. Remember, it may take some time to find the right pup for you out of the limited numbers of Miniature Schnauzers that need rescuing. Breeders of Miniature Schnauzers can be found all over. You can get a referral from the American Miniature Schnauzer Club. First, know if you’re looking for a pedigreed, show-quality animal, or just a healthy one for a family pet. Research your breeder. You want to know that the breeder is ethical and responsible. So if you can visit the site, do that. This lets you see for yourself how your potential pet lives. Ask questions about health history and get documentation before you commit to a purchase. Make sure to avoid puppy mills. These breeders just breed with money in mind rather than to create healthy happy dogs. These pups are usually cheaper, but they have a worse quality of life. As do the parent dogs, who are often just seen as a means to an end. Pet stores often buy puppies from puppy mills. So make sure to also avoid pet store when buying your Mini Schnauzer. A Miniature Schnauzer puppy can cost anywhere from $500 to thousands of dollars. Show-quality dogs are more expensive. If you just want a dog for your family, you might be able to find one for less. 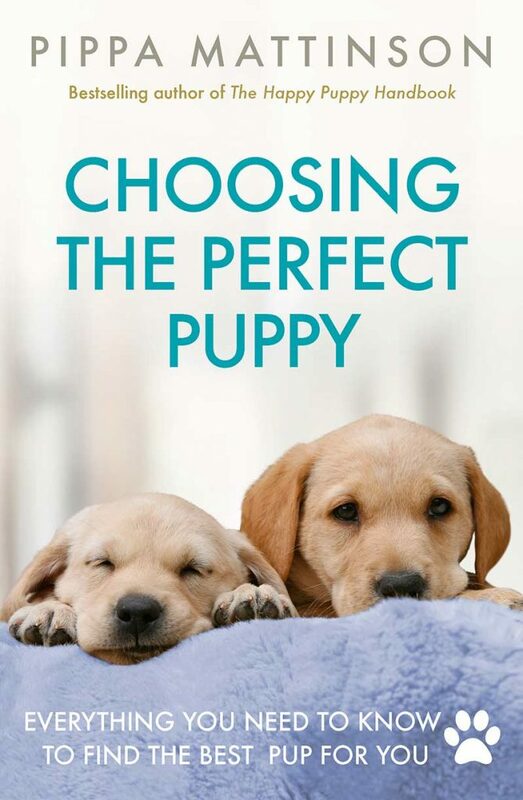 If you want more help choosing a puppy, check out our Puppy Search Guide. Miniature Schnauzer puppies are the cutest things on the planet. But don’t let their sweetness blind you! No matter how cute the puppy looks, you still need to research the breeder and the dog’s lineage. Given the potential health risks, it may save you money and heartache down the line. Pups are usually available at about eight weeks old. Caring for a Mini Schnauzer puppy is a big responsibility. 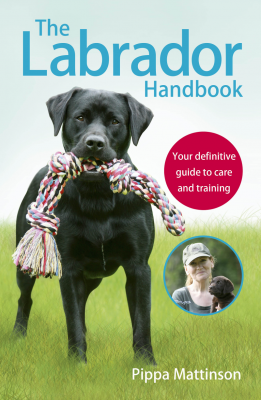 But we have some great guides to help you with all aspects of puppy care and training. You’ll find them on our puppy care page. Miniature Schnauzer mixes do exist. One plus of mixed breed dogs is health problems can be less likely due to the mix of genes. Also, they will have different qualities to purebred dogs of both breeds. But maybe that’s what you want! But, you still need to be careful and responsible if you plan to adopt a mix. Both parents should be tested for genetic issues, and the health of your pup should be examined carefully. Check out the Mini Schnauzer mixes below! If you’re not sure this is the breed for you, there are plenty of others to consider. Take a look at some similar breeds that might be perfect for your family. So, we’ve learnt a lot about the Miniature Schnauzer! But let’s recap everything so you can make the best decision about this breed. Firstly, they are a loud breed that will spend a lot of time barking. Mini Schnauzers have a lot of potential health problems to be aware of. They have strong natural chase instincts that make living with other animals tricky. This breed requires a lot of grooming every day. They also require a lot of mental stimulation to prevent boredom. Firstly, Mini Schnauzers are a friendly, social breed. They can suit city or country living if they get their regular exercise. This is also an intelligent breed that takes well to training. So if you’ve decided a Miniature Schnauzer rescue is the way you want to go, take a look at the rescue centers in your area. If you know any other great Mini Schnauzer rescues, let us know in the comments so we can add them to this list! Bhalerao, D. P. et al (2002). Detection of a genetic mutation for myotonia congenital among Miniature Schnauzers and identification of a common carrier ancestor. American Journal of Veterinary Research, 63. Giles, A. R. et al (1984). Development of factor VIII: C antibodies in dogs with hemophilia A (Factor VIII:C deficiency). Blood, 63. Heske, L. et al (2014). A cohort study of epilepsy among 665,000 insured dogs: incidence, mortality, and survival after diagnosis. The Veterinary Journal, 202. Parshall et al (1991). Photoreceptor Dysplasia: An inherited progressive retinal atrophy of miniature schnauzer dogs. Progress in Veterinary & Comparative Ophthalmology, 1. N. Mori et al (2009). Predisposition for primary hyperlipidemia in Miniature Schnauzers and Shetland sheepdogs as compared to other canine breeds. Research in Veterinary Science, 88. Morton L. D. et al (1990). Juvenile renal disease in Miniature Schnauzer dogs. Veterinary Pathology, 27. Murayama, N., et al (2008).. A case of superficial suppurative necrolytic dermatitis of miniature schnauzers with identification of a causative agent using patch testing. Veterinary Dermatology, 19. Parker, H. G. and Kilroy-Glynn, P. (1016), Myxomatous mitral valve disease in dogs: Does size matter? Journal of Veterinary Cardiology, 14. Still have a wonderful MS who has just turned 14 years. We live in a city and we have trained her to walk without a leash with us. Took some patience, lots of love and most importantly only positive stimulation. A little snack everytime she stopped at the curb, sat on command or returned when called. Great little dog we can take with us wherever we go. Healthwise she has (allergic) skin issues. We have taken to grainless foods but sometimes she still has itch attacks where overnight she will chew two bald patches. Antihystamine injections at vet always work. Now she is getting old she has catharac which means in the dark-dusk she has to go on the leash as she loses us. Also seems to be ‘lost in thought’ often and forgets surroundings and has fatty lumps on chest and hips. Can still run around and lark when she meets a goodlooking wirehaired Dachshund. Has always been a lovely dog with our kids when they were very small. Very family oriented and cuddly. Pepper is my 2nd miniature schnauzer, she just turned 1 this past January, she is a liver/pepper. My 1st miniature schnauzer Belle,who was salt/pepper,crossed the rainbow bridge, 2 years ago , this coming June. She was diagnosed with lymphoma. My heart was broken. Both my girls are and always will be “mommas babies”. They truly are a wonderful breed. Our newest schnauzer, Henry, is 3 mos. old.. He is our 5th schnauzer. After our last schnauzer passed from a liver tumor that burst. (Remy was only 10 yrs old) we thought we would never have another dog, it just hurt too much to lose him. But then, after a year, we began to want another fuzzy face. So then came Henry. It’s true that getting a dog may be one of the happiest days of your life and losing one is probably one of the saddest! But, once you own a schnauzer you will probably always have one. All we can do is be happy while they are here and know that we have given them the best life we could. God bless all dogs and dog lovers. I couldn’t agree more! They are the best!! Such great personalities. I lost my 1st schnauzer from cancer….tumor on his liver. He was the best little guy…close to perfect as you could get. It’s been 7 long years since I had to let him go…still hurts….hardest thing I ever had to do. Just like you said…the happiest day when you get a fur baby & the saddest day when you lose them! I have 2 now & I love them dearly but my 1st one will always hold the most special place in my heart. Bonnie was my first MS and lived to 17 and was healthy her whole life except for cataracts at around 16. Stormie was my second and only made 10 years old due to G I lymphoma. Both were wonderful doggies. Bonnie was raised by a 75 lb put bull named Chopper who made 15 yrs. Stormie spent her 10 years traveling 48 + Canada in a big truck…..Now I have Mystie who is 3 in May. What a character! I hope she outlives me cannot go thru the heartbreak again.All being black+ silver females 14, 12,+ 18 lbs respectively. Do alot of research on your breeder, due to relatively high cost of breed many are only looking to turn a fast buck or adopt and rescue. Also do alot of research on pet food and use top quality like Orijen, Arcana, Fromme. I grew up with mini schnauzers. We had one that lived to be 18. Just bought my last one in December 2017 for my husband. Then my husband passed a month ago. I feel so bad for little Duece. But he has finally stopped whimpering constantly and now sticks close to me. Wonderful, smart amazing dogs. We already had two Miniature Schnauzers. one lived till 14a male. The other one has just left. She was turning 12 this Feb. 8, 2019. I lost her on Jan. 3rd late night/Jan. r 4rth early morning with heart and kidney/renal failure. She was so cue. Both were great. I a thinking one more and know well how to handle and take care of little pet doggy miniature Schnauzer. I miss very badly. I have also my spouse who was in military. It would be great t have one more Schnauzer and I love this breed. they are great companion and intelligent, obedient. We have a white MS that will be 15 in April 2019. He has had bladder stones, has liver issues, has had pancreatitis, cushings disease, now Addisons (sp? ) disease, IBD, UTI’S, and lumps and bumps. In the past 6 months now we have been dealing with boughts of vomiting/diarrhea with multiple vet trips. He is being held together with meds and proper diet right now which is day to day. Vomiting is under control but the poop can swing from firm to soft daily. We have over 15,000 in vet bills in the last few years from emergency hospital stays and surgery. Unfortunately, he had had pretty much everything possible a MS is known to get. With all that said, we love this dog and would do anything to keep him comfortable (which he is) to live out his life. We don’t have any human children. My point is, they can be expensive if your pooch gets all the issues like ours but he’s such a good little guy with a very Strong personality that makes us laugh because we seem to work for him! Love MS’s! My name is Lee, I have had two males before Gracie, I was single and met my wife through a Schnauzer breader as we had both recently lost our Schnauzers, Claudia had two before we met as well. Gracie is the reason we met and we worship the ground she walks on. They are all scary smart and if loved and played with they are a blast, we have a very large house and play sneak up and goose the other person, she can beat me easily but sometimes lets me win, I will peak around a corner to sneak up on her and she learned to peek around the corner to sneak up on me. She will hide when I get close and bust out of hidding to goose me and run. One word of caution, once you get your first Schnauzer you will get another one, we have talked to so many Schnauzer owners that will neve get another bread and we agree. Schnauzers for lifers as we call ourselves. These little dogs are actually a human brain trapped in a cute, sweet, cuddly dogs body. All of our dogs have been really scary smart, so scary smart that they amaze you every single day, they like to be large and in charge and will absolutely go out of their way to make you smile. Tough as nails and are no means wimpy. Best cuddlers on the planet that will never not want to be without you unless they are stalking you to goose and run. My mini schnauzer is a mix with a rat terrier. Daisy Mae looks exactly like a mini schnauzer except for her blond color. She is my Service Animal, so we are always together. Before I retired, she came to work with me. We go to church, dine out, go grocery shopping together – her favorite outing is the library. I just say “library” and she’s at the door! Her BFF is a great guy who works there and will inherit her if she outlives me. I have had many dogs in my life, but I never had such a loving and smart dog as my Daisy Mae. At 8 years old, she hasn’t slowed down at all. When she has her uniform on, she knows she’s working and behaves beautifully, but when we get home and take off her uniform, she’s still just a playful puppy. I call her “Crazy Daisy!” She has never nipped or growled at anyone, but she is an awesome watch dog and will bark at unrecognized sounds, which is great for an old lady who lives alone on 6 acres in the middle of nowhere! I would recommend a mini schnauzer to anyone, and if you are lucky enough to find a good mix, all the better. We are now living with our second female Miniature Schnauzer Ebi Lou. She will turn 12 this October 30, 2018. She has been a smart, sweet, intelligent, spunky joy in our family. Recently, her whole routine changed dramatically. She stopped eating 1st thing, is resting more. We took her to the vet for her 2nd Bortadela shot and to discuss the changes, and she’s 100% healthy. She’s just decided to take it a little easier, at this stage. Our previous Miniature Schnauzer, Mims, was with us for 14 wonderful years. We love our Miniature Schnauzers. They are wonderful, enjoyable family members! My Galliana was a party color mini schnauzer that passed away about 2 years ago of some type of kidney disease. She was 13 years old. She was the most amazing little buddy. She followed me everywhere and lay beside me on the couch when watching tv. Always had to be near me. She was extremely sweet and amazingly intelligent. We trained her to do agility courses and she was very good at it. As others have mentioned, horrible on a leash. She would charge after any dog she saw and ring her own neck when the leash reached its limit. We switched to a harness for connecting the leash to keep her from damaging her neck. They do tend to be a little yappy though. I miss her terribly. I recently got another party color mini schnauzer named Ellemae. They are great dogs. I highly recommend the breed. We have a white one he is only 5 years old He is just as sweet, gentle and understanding. He was bought for our grand kids . Our sweet Bolt was bought at an breeder. When Bolt was just a couple months old wefound out he was full of all the type of worms The vet did not expect him to make it . But he did. We had several emergencies with him He had got a holded of a rib bone and it ldge n this throat. . Then he was posion . At our fence in yard. Or he has lmHA he had a low blood count and found out he has a heart murmur. He had to have a blood transfusion and believe not make it but with lots love and care sofar he has been around 4 months past what we were told. This is one tough dog He is also my therapy dog. I have a Black Mini Schnauzer who just turned 6. We are so attached to each other. She had one bladder infection 2-3 summers ago but no other health issues thus far. She gets anxious around children or around a lot of activity such as family gatherings, but I attribute that to her daily quiet surroundings, just the 2 of us. I would get another Mini in a heartbeat. She’s loyal, protective, playful, fun and a snuggler. I hope she stays healthy for a long time to come! HANDS DOWN BEST BREED EVER. IVE HAD 6 OLDEST JUST PASSED AT 17…ELLA WAS THE LOVLIEST SOUL. I WAS LUCKY DID NOT EXPERIENCE ANY MAJOR ILLNESSES.. He is only 1 yr old so haven’t dealt with any health problems so far only some skin flaking ( due to wrong shampoo being used . I think . He is such a good boy . I couldn’t of picked a better dog to fit into our family . I had problems with my Daisy Mae on the leash, too. At only 15 pounds, she can drag me down the street. I tried a lot of different collars and methods until I discovered The Gentle Leader. IT WORKS! I have had several I just had to put one down she was only 6 she had kidney disease and a heart murmur she had the best personality of any I had she was not a barker neither was the one previous I would not have any other breed they are the best!! I have a miniature Schnauzer, she is salt and pepper, 6 month old. My granddaughter breed s these dogs, she gave my little dog. I love this dog so much. She has changed my life so much . I feel bad to know that these dogs are so pron to these deases. Just to let you know I have had 6 mini Schnauzers. My most recent pasted at 17, previously 161/2….then 13 and on and on. I was truly blessed. Just first love them like they will love you, feed well, regular exercise and vet checks and lots of exercise and socialization. Do this and you will have the Best Breed in the world for a long time. MS have been the most wonderful blessings in my life!!! Good article with great information on miniature schnauzers. I recently had to put down the first schnauzer I owned. Her name was Heidi and she developed congestive heart failure and then a month later was found with a large tumor on her spleen that burst. With the heart condition and her being 13 years old, it was almost certain she would not survive the surgery. We had to make the decision to put her down. My husband and I miss her very much! She suffered with allergies and infections from time to time in her ears because of the allergies. She also had the little bumps. She was very smart and very sweet. Love the fact that schnauzer don’t really shed. I also have an 11 year old male schnauzer that is blind from having diabetes. He was a rescue 4 1/2 years ago. He is also very sweet and gets around well with his limited eye sight. He doesn’t seem to have allergies but has teeth problems. Just happy he’s doing so well since his diagnosis of diabetes 3 1/2 years ago. My vet says that schnauzer are prone to diabetes. While having a dog with it means testing, special diets and shots, it is possible to get a routine down and have a happy healthy dog. While I’ve had several different breeds over the years, I have to say the miniature schnauzer is my favorite. Our White Male is 13 years old and minus the “bumps” has not had any of the scary health issues mentioned. Color us lucky. He is getting slower and grumpier, but still bounces around from time to time. Thinking about a regular color one down the road as this pup was saved from our daughters military travels, basically we took him in when they had to move. Will check shelters and other research before deciding. Easy to groom after a little practice! We just had to put our Shitzu to sleep and decided to purchase another dog right away to ease the pain of our loss, someone in our area had miniature Schnauzers for sale in our area and we purchased a little male without doing the research.. now I’m extremely worried about potential health issues..
I’ve raised and trained 8 miniature Schnauzers over the last 10 years from 4 different breeders and the only medical issues I’ve had was one got cancer and died after 9 years of love, and one had a genetic teeth issue and had to have 27 of his 42 teeth removed. But other than those 2 the rest have been fully healthy. We rescued our mini-schnauzer 6 months ago. She is about 2 1/2 now. She is VERY smart and VERY loving and sweet. She can be trying at times. We did a basic training class with her, and she did great except for walking on a leash. She is HORRIBLE on the leash. We are getting some additional one-on-one training for the leash issue, and have high hopes of success. This article was great! I really appreciate all of the information. I think it’s a good idea to have pet insurance for this breed to help with any financial issues that can arise due to possible health problems. So far I LOVE this breed. Thanks again for the info! My white schnauzer was named Krypto. He was the best dog ever. Krypto had the usual schnauzer bumps, including some larger cysts, one which burst. We ran into bladder stones early on, and switched foods to reduce their occurrence. We ended up going through 2 surgeries to remove them from the bladder, and later a urethrae redirect operation to increase ability to pass these stones. Spendy. 4 years ago they started detecting a heart murmur, but we did not focus on its existence till 2 years later. He started passing out when getting excited. We did a full cardio workup on him, and we then began a regiment of heart medicines. He lasted another 16 months, and we had to put him down 3 weeks ago. We are extremely sad, and miss him so. I think the schnauzers are great pets, as long as you have the money to support their health. I’ve had two schnauzers. The other one, Ruby, a black schnauzer, went through bladder stone surgery as well. May I ask how old your Krypto was when you had to make that VERY difficult decision? My sister has a white Schnauzer and her vet said the life expectancy for white ones was much lower than others coat colors? He has her scared because he said her 7 year old was actually older than most? I don’t use the same vet, so I tried to find anything online to confirm, but haven’t found anything. He may know this just gotten from personal experience over the years? But, her “Schnick” isn’t eating and she said he “seems to be going down at a rapid rate”! Health wise he’s dealt with the regular “Schnauzer bumps”, but he hasn’t endured the issues your sweet one went through!! So, I’m VERY sorry for the timing of this question, and I am so very sorry for your loss! I’m currently dealing with the same “decision” with my 15 year old toy poodle, and have had to make that terrible choice for the many other fur babies I’ve had in my 43 years! I ONLY ask as I’m trying to find anything positive to tell her! We have a white mini Schnauzer going on 12 years that still acts like a puppy. He has the bumps but is otherwise very healthy. If we don’t have time for a walk he will get one of his toys and attack and chase it around the house, he’s very fit. One recommendation is to feed your dog high protein grain free dog food. It’s a bit more expensive, but well worth it to keep them healthy. This article is very accurate to our experience. Our dog had bladder stones at age 2 and required surgery. She is on a special diet and is doing well. She is stubborn, has a strong chase instinct and barks territorially. She is very friendly to strangers but less so to other dogs. I love our dog, but would try a different breed for the next dog. One that’s calmer. I have had 2 miniature Schnauzers. Both had to be put to sleep at around 16 years. I am a real Schnauzer lover and I would give anything to get another one. I have had four schnauzer s in the past thirty years. My newest little girl is a black and white Parti. My understanding was this coloring was the original from Germany. I got her at Moore’s Puppy’s. She is in Ca. Can find her on internet. Good luck . great article, lots of information, things that I’ve experienced as having 4 over a 25 yr period but learned a little more… thanks!